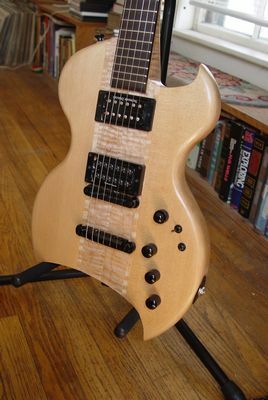 This guitar was made on commission to a clients specifications. 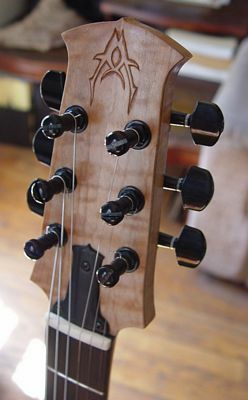 This features a Sitka spruce body with Curly Maple through body neck and Ebony fingerboard. Not apparent is a third pickup which is a piezo bridge type. This offers a choice of typical electric sounds as well as a sound with acoustic qualities. There are active electronics and ability to select any combination of pickups.